The participating restaurants and lodges will kickoff the mountain festivities with a wide variety of offerings and one will have difficulty finding the perfect fit. With over 50 restaurants and lodges to choose from, guests will quickly notice their favorite locations; however, be cautious not to miss the assortment of new restaurants and lodges on board as well. We also encourage guests to check back on the website often, as we will continue to add new specials. It’s not just the list of restaurants creating the buzz this year, but the Vail and Beaver Creek lodges as well, accommodating guests from across the country. 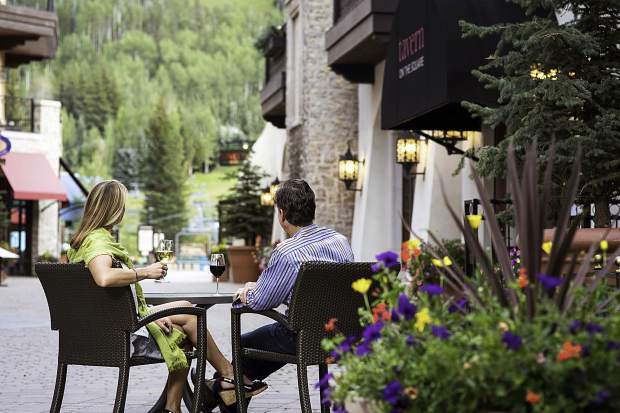 Whatever $20.19 special you opt for this year, there is one thing that’s for sure — it will pair perfectly with Vail and Beaver Creek’s stunning spring backdrop. The spring scenery of the Rocky Mountains truly sets the stage for an unparalleled culinary event returning even bigger and better for 2019. For more information on Vail-Beaver Creek Restaurant Week or to view the incredible list of $20.19 restaurant specials and lodging offers, visit http://www.vail beavercreekrestaurantweek.com. If you would like to participate in $20.19 special, visit https://bit.ly/2GEW1G6.